Active noise-cancelling earphones, Bluetooth audio, fast-charge battery + built in cable, speakers. All magnetically snaps into one. World-class noise canceling performance, ergonomic fit, superior sound quality, aptX codec, and up to 400 hours of active noise canceling with Battery Hub. Turn any wired headphone wireless. Supports any wired audio product, compact size, and compatible with in-flight entertainment using the included 3.5mm audio cable. Provides sufficient battery for Polatap modules via magnetic charging capability. 5,000mAh capacity, turbo charging, premium aluminum design, USB-C ports, and magnetic charging. Built-in Lightning & USB C charging cables. Supports simultaneous charging. Efficient 2W audio driver and 200 hours of play time when connected to the Battery Hub. When packing for a trip, we want to bring useful products that don’t take up too much space in our luggage. Only the necessary things that will help make our trip more enjoyable. But with increasing number of devices we own, our luggage only seems to be getting heavier and more cluttered. Introducing POLATAP Traveler Kit, a Bluetooth Audio and Battery total solution for travelers. POLATAP Traveler Kit is a modular set of Bluetooth audio and charging products that uses a 9-pin magnetic system to charge devices and enable active noise canceling feature. The magnets snap together and make this modular system effortless to connect. POLATAP products can be magnetically connected in any orientation. Any combination works. You can practically do it in the dark or with your eyes closed. The active noise cancelling technology works by using POLATAP Earphones together with the Bluetooth Receiver, making the Earphones incredibly lightweight and battery-free. The Bluetooth Receiver supplies the power and controls the active noise cancelling technology, and they are transmitted to the Earphones over the 3.5mm audio connection. The Bluetooth Receiver supplies the power and controls the active noise cancelling technology, which is transmitted to the Earphones over the 3.5mm audio connection. Audio transparency feature allows external sound to not just pass-through, but amplify only the sounds that you want to hear. A dedicated button is easily accessible on the Bluetooth Receiver, instantly letting you hear what's going on around you without having to take your earphones out. Taking advantage of the huge battery in the Battery Hub, you can enjoy active noise cancelling for longer than one week. All you have to do is snap the Bluetooth Receiver onto the Battery Hub to charge it when you need to. The noise cancelling feature can be used for up to 12 hours without being charged by the Battery Hub, and 6 hours or less when used together with music play-back or voice calls depending on the volume of sound. Whenever your Bluetooth Receiver's battery is running low, Noise Cancelling Earphones can also be used as a standard wired earphones by plugging it into any devices that support 3.5mm audio jack. Also with the included USB-C to 3.5mm aux cable, you can use noise cancellation while using the in-flight entertainment system inside the airplane cabin. 3.5mm audio jacks are disappearing from smartphones, but that doesn’t mean you can’t keep using your favorite pair of wired headphones. POLATAP Bluetooth Receiver can turn any wired headphones or speakers into a wireless device, letting you stream your music wirelessly. 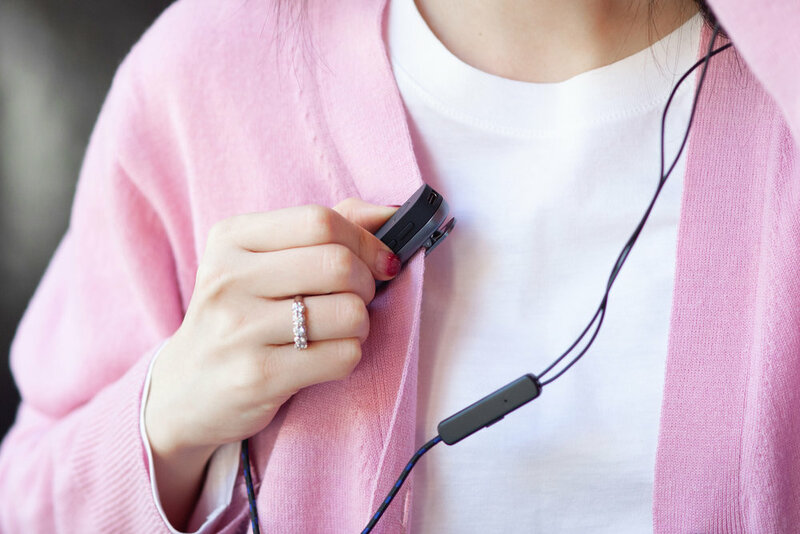 The Bluetooth Receiver also comes with a metal clip accessory for clipping onto your shirt or pocket, so you can listen to music without getting your wires tangled. In any rental or privately-owned car, plug the Bluetooth Receiver into the 3.5mm audio plug to hear everything that goes on in your smartphone through your car stereo: navigation, music, or hands-free calling. No setup or additional pairing required. You can even use your favorite hi-fi speakers in your home or office. Just plug and play. Built-in support for USB-C charging devices. 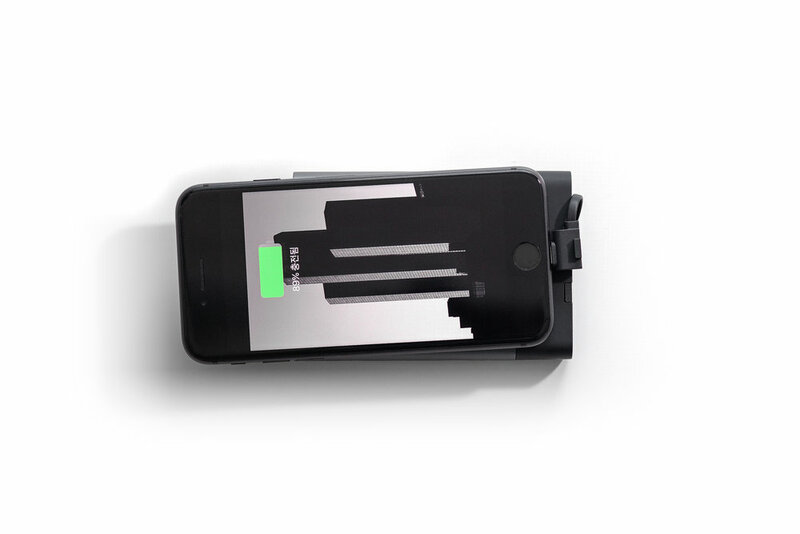 The 5,000mAh portable battery (3X the battery capacity of iPhone 7) supports simultaneous charging of up to three different devices when connected to the Cable Kit. The Battery Hub also acts as a charging hub for the Traveler Kit, providing plenty of charge for all of POLATAP’s products. To charge the Bluetooth Receiver, simply just snap it onto the Battery Hub. Charge various devices using USB-C to X charging cable.